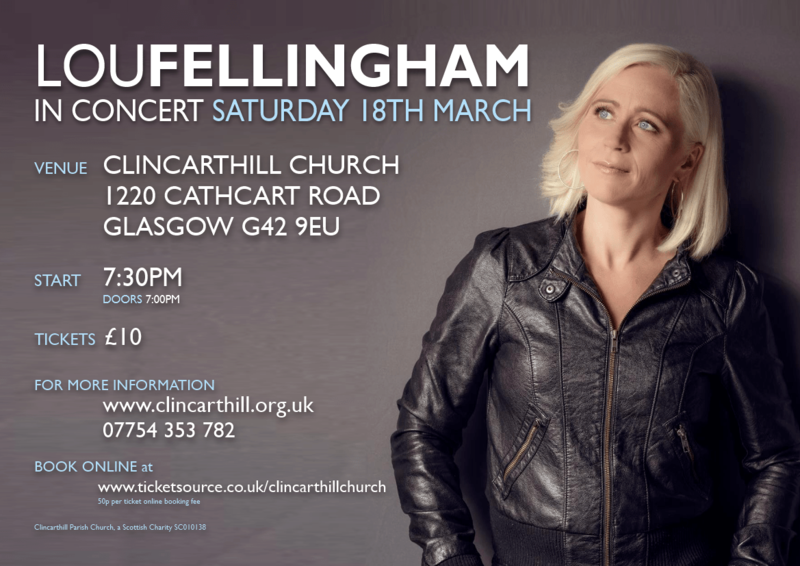 We are delighted to welcome Lou Fellingham back to Clincarthill for a Concert on Saturday, 18th March at 7.30pm. Lou is one of the UK’s leading contemporary Christian singer / songwriters. Having served as lead singer of Phatfish for almost two decades – during which time they recorded eight albums and toured extensively throughout the UK, Canada and America – Lou Fellingham is now four albums in to a firmly-established career as a solo artist. Her distinctive voice and heart for people have made Lou a greatly loved worship leader, singer and recording artist. Tickets priced £10 are available online at www.ticketsource.co.uk/clincarthillchurch (with 50p per ticket booking fee) or to buy tickets with cash or cheque speak to Stuart Buchanan, email events@clincarthill.org.uk or phone / text 07754 353 782. We had a wonderful evening of worship with Lou in February 2014 and we look forward to this. This entry was posted in Uncategorized on 22 January 2017 by Graham Shankland.